Waterviews in Sea Meadow Farm! 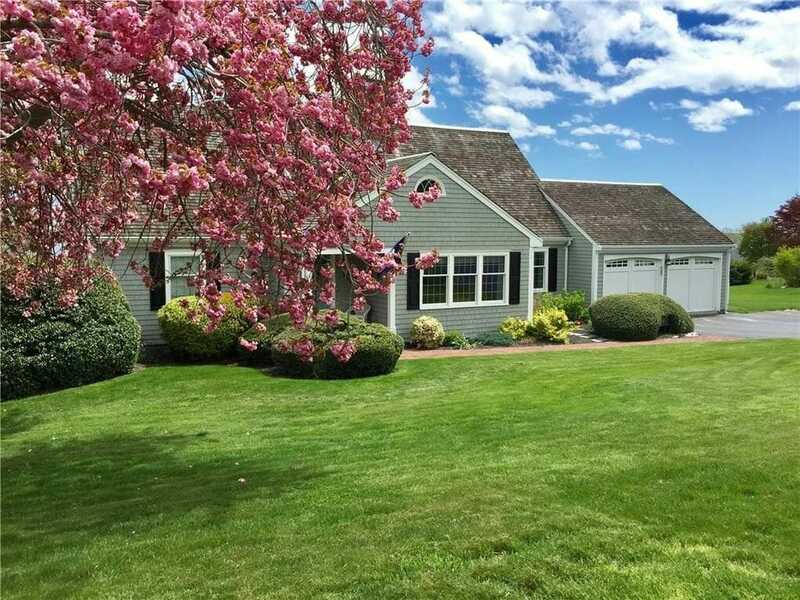 Stately, meticulously maintained classic New England Cape offers exceptional water views of the Sakonnet Passage. This 4 bed, 2.5 bath residence sited on a half acre, is beautifully landscaped with a new Timbertech composite deck and railing overlooking the water. Enter to the home’s gracious 2-story foyer leading to the eat-in kitchen, completely renovated with granite and stainless appliances, and a stunning double-sided wood burning fireplace to the living room, adding perfect ambiance for entertaining. A well-appointed dining room is perfect for holidays and formal gatherings. The sunroom, overlooking the water, is the focal point to the first level. Half Bath and Laundry is located on this level as well. A first floor master suite with radiant floor heated bath, completes the first story. The second floor is comprised of three additional bedrooms, and full bath. Plenty of additional storage. The lower level offers additional expansion possibilities with a bright double French door walk-out to the backyard for outdoor fun. New Roof 2017. Deeded neighborhood water access. Short drive to historic Newport Harbor, Saturday night Polo, local beaches and Navy Base. Easy access to Providence and Boston.